Ra Newsclips: Ra Residence | Happy Chinese New Year 2016! 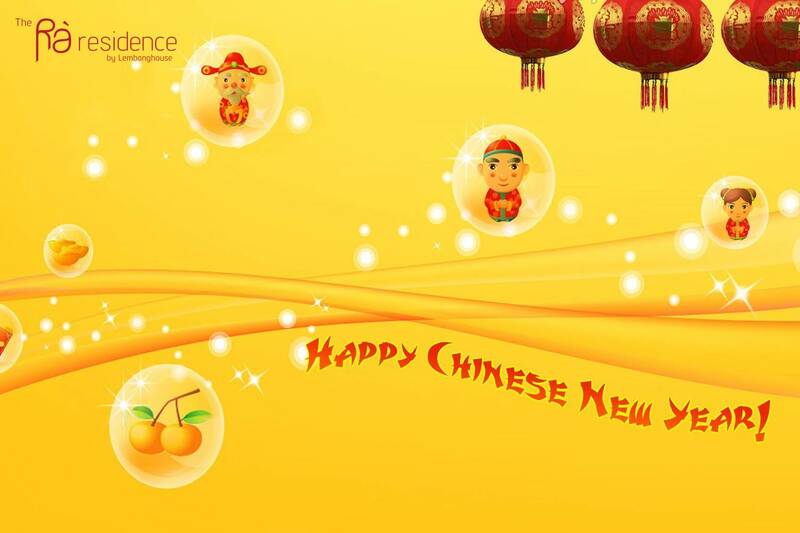 Chinese New Year is the most important and longest of all Chinese festivals, celebrated in Chinese communities worldwide. Chinese New Year activities include: making offerings to household deities, wearing new clothes, particularly in red, hosting a large banquet for family and friends and taking part in lion and dragon dances, as well as festive parades featuring acrobatic demonstrations, beating gongs, and clashing cymbal. This festival is believed go as far back as prehistory. It marks the start of the new lunar cycle and is called the Spring Festival (in the northern hemisphere) as it falls between the December solstice and the March equinox. China follows the Gregorian calendar for daily business but the dates of the Chinese New Year and other important festivals are determined by the Chinese calendar.